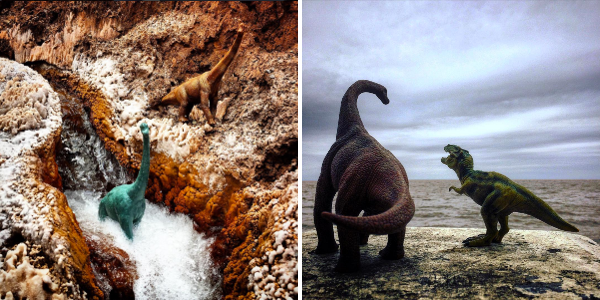 Dinosaurs are on the loose and travelling the world with some hilarious commentary in this fabulous Instagram account that will have any little dino-lover giddy with delight. 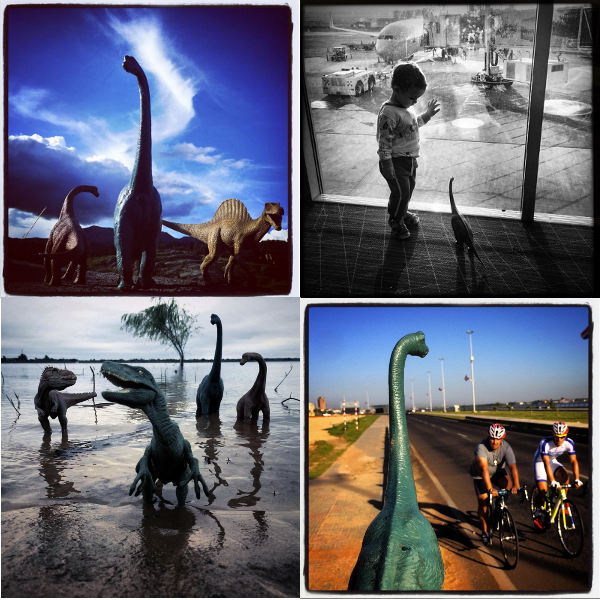 Yes, it’s a modern world and everyone has an Instagram account now – even dinosaurs. These amazing photos are the work of Jorge Saenz, an Argentinian photojournalist stationed in Paraguay whose bag is always packed – full of plastic toy dinosaurs. The captions to these photos are written from the dinosaurs’ point-of-view as Jorge has given each of them a name and distinct personality. “Dina (the big green Stegosaurus) is more aggressive and instinctive; Spiny (Spinosaurus) is mostly ironic; Brachy (a brown Brachiosaurus) is the romantic girlfriend of Dino, but very critical of male behavior,” says Jorge. This rag-tag bunch of Triassic travellers wander throughout time, from prehistoric days to the modern world. Some of the best moments are when they are exploring our current time and commenting on what they see, as if mankind is merely a theme park they are visiting for the day. You can see these daring dinos catch a plane, meet local animals, or try to cruise through the city. These epic images have been causing quite a stir on Instagram. The full collection has been tagged as #dinodinaseries. If you know a dino-crazy kid who would love these imaginative images, you can bookmark the page and keep coming back for regular updates on the dinosaurs’ adventurous lives. Want more Instagram fun? Take a look at the hilarious account of Why Kids Are the Worst or find out why Kate Hudson is a favourite celebrity mum on Instagram.